As I look out the window, and feel the single digit temperature I want to say happy winter. 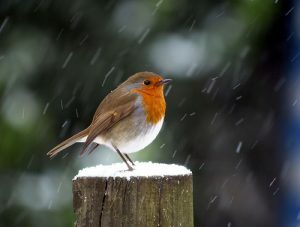 I have been enjoying shoveling snow while listening to the birds. So today we are into April the fourth month and the beginning of our second quarter. In past years we have worked on Shesochin kata; fighting in the four directions… This year we will continue to think of the four directions Perhaps more simply than the complete kata. We will work with Ido or movement and turning both 90 degrees and 180 per our usual, but we will introduce the 270 degree turn to many of you. Just a reminder Yoga is Tuesday evenings 6:30-7:30 pm. The current drop in cost is $7.00 and punch cards are available for $63. Beginning June 1 the Drop in rate will be $8.00 and Punch cards will be $72 for 10 punches. Purchase punch card prior to that date for the savings. Adult Karate students are welcome to attend at no additional cost. Parents who have children enrolled in karate are welcome to attend Yoga at no charge as well. Over the next weeks and months we will be offering additional classes and having some expansions of our programming. More information will be out as it becomes available. Some classes will be series Like Tai chi class beginning May 8. This will be a 45 minute class from 12:15-1:00 running Tuesdays and Thursdays from May 8- June 14. This is a separate class and must be registered for specifically. The investment is $72 for the 6 week class. Others classes like this will be offered soon.